The Clarkson Urban Towns are just minutes from the Clarkson GO station. With the GO at your doorstep, get to Union Station in 25 minutes flat. The 74 available suites will range in size from 485 – 1570 square feet, with a blend of 1 bedroom, 2 bedroom, and 3 bedroom layouts. Each unit will also feature outdoor space. The icing on the cake? All units include parking and locker too. 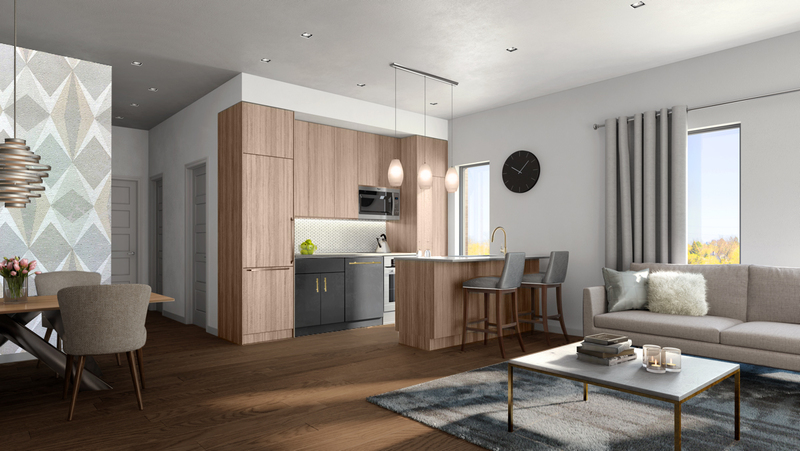 Haven Developments has teamed up with Graziani + Corazza Architects Inc. and Ambience Design Group to create an amazing project with an emphasis on meticulous attention to detail, quality materials, and a well-designed floorplan to maximize space. From the heart of Mississauga comes Haven Development's newest one-to-watch project: The Clarkson Urban Towns. 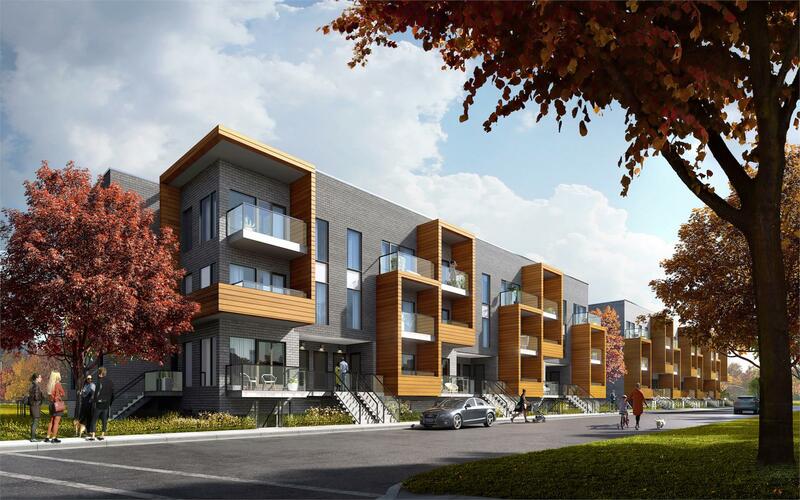 A collection of urban townhomes near Southdown Road & Lakeshore Road, these modern boutique townhomes are stacked with style. Haven Developments (SIX25BV, 4HUNDRED EAST MALL Stacked Town Homes) has teamed up with 2017 BILD Award winner Graziani + Corazza Architects Inc. (Canvas Condos, DNA3) and interior designer Ambience Design Group to create an amazing project with an emphasis on meticulous attention to detail, quality materials, and a well-designed floorplan to maximize space. The 74 available suites will range in size from 485 – 1570 square feet, with a blend of one bedroom, two bedroom, and three bedroom layouts. Each unit will also feature outdoor space, an increasing rarity in the city. The icing on the cake? All units include parking and locker too. Maintenance fees will be $0.31/square foot (includes common area maintenance, snow removal, landscaping and electricity consumption for all common areas; utilities are individually metered). Estupancy is expected to be in June 2021. From here you can GO anywhere. The Clarkson Urban Towns are just minutes from the Clarkson GO station. With the GO at your doorstep, get to Union Station in 25 minutes flat. Getting to and from home can't get any easier than this, and nearby highways connect easily to downtown Toronto and Pearson Airport. The ultra-convenient Loblaws near the Clarkson GO station makes picking up essentials like groceries and prescriptions easy: simply order them online and have it sent to Clarkson GO for pick-up. Feel like staying in? Shops, restaurants, and parks abound in the area, only a short stroll out your front door. Register with us to get first access. With just (walking) minutes to the Clarkson GO, this location can't be beat: downtown Toronto is 25 minutes away, and connecting to the TTC is fast and easy. Did we also mention the close proximity to the Lake and beautiful waterfront, as well as the University of Toronto - Mississauga campus? 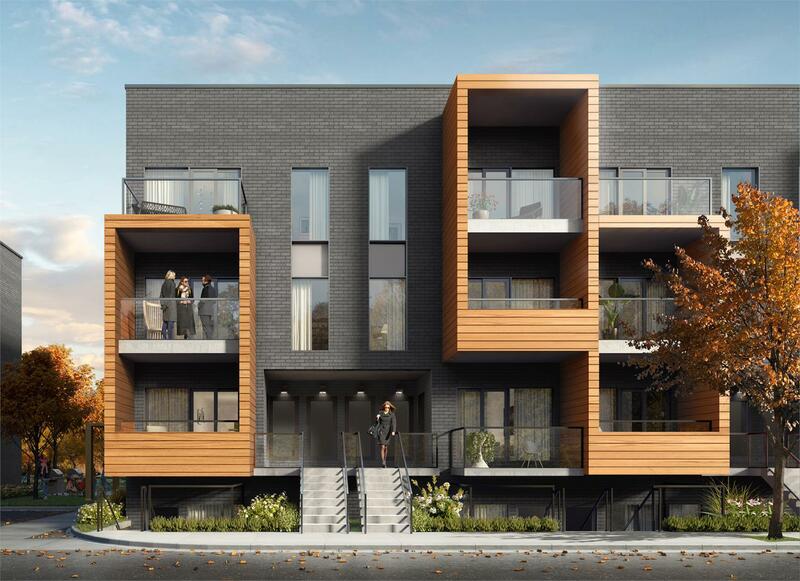 These incredible townhomes are luxurious and modern, but come with a very modest price tag. Prices starting at just $755.00/square foot -- a steal compared to Toronto's average of over $1,000.00/square foot. Amazing suite finishes like laminate floors, granite counters, and stainless steel appliances already come with the price tag, but there's more. Clarkson does one better with generous outdoor space for all units, plus parking and locker! We guarantee you the lowest prices and incentives, very first access to inventory and project details, extended deposit structure, special investor incentives, full disclosure and no hidden fees. We provide you with unparalleled support from day one, until closing and beyond: we will provide you with one-on-one purchase consultation, expert guidance in selecting your ideal floor plan, free agreement review by one of our qualified pre-construction lawyers, free mortgage approval with capped rate, and free expert advice during colour selection!